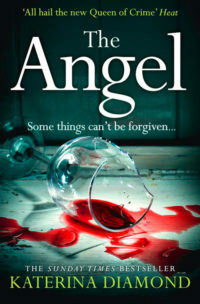 The Angel came to me for review from the publisher. Recently, I have been drawn to crime/thriller/mystery books, so this just came at the right time. The book starts in a very strange way, with a woman having just slept with a friend’s husband while her own husband is absent. This misstep has tragic consequences and ends ominously. With this opening chapter complete, I was left wondering how the books title would be reflected in the plot of the book. With the second chapter, there was a significant change of either time or place and to be honest I had to go back and re-read the first chapter to see if I had missed some little hint or tip. Again at the end of this chapter, you were left hanging and I was still no clearer how the title fitted. At this point I re-read the synopsis to familiarise myself with what the book was about. It seemed that at this point, we were introduced to Gabriel, the young man who appears to have been locked up in error. It is at this point, I chose to abandon the opening chapter and was drawn into the plight of Gabriel. His story was what really gripped me throughout the book. He is not the stereotypical villain of these type of books. Gabriel is the character that changed the most. For me, Diamond has managed to expertly portray this situation of someone who appears to have never been in trouble with the law and thrown into a really hostile place. He has to toughen up very quickly in order to survive, but that doesn’t mean his time inside isn’t without confrontation. Reading this, reminded me of prison dramas I have seen on television, such as Prison Break and Bad Girls. I found myself willing him to survive, no matter what, but when the sharks smell blood in the water, they will attack. The other part of this book, with the double murder Grey and Miles are trying to solve, didn’t seem to relate to the body burned in the rail station. It was at this point I realised that this book was not a standalone and in fact the third book in a series. There are clearly ongoing plotlines involving Grey and Miles that are being resolved in this book. Although it didn’t spoil the book too much for me, I did feel as if I was missing important parts of their character arc. By the conclusion of the book, the pieces did all fall into place and the resolution was satisfactory. If there were to be more books about Grey and Miles I would read more about these characters because they were really engaging. With this chapter closed, I am sure there would be more stories to tell. The Angel was really gripping read, but I do feel I would have benefited from reading the two previous books The Teacher and The Secret. It was as if I had only half the story in relation to Grey and Miles. The saving grace for me has to be Gabriels story and that drove me to read on.